Although WD TV has full support for various different file types, however, the maximum resolution for the compatible video formats are limited to 1920 x 1080. Before a firmware update can increase the resolution of the WD TV boxes to 4K, you will not get the opportunity to view video on WD TV with 4K resolution. To fix this issue, the most efficient way is compressing the 4K video to 1080p for the WD TV. 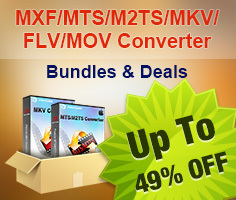 When searching on the Internet, you may find that are many 4K video converter program claims to do the task for you. However, it would be much ideal for you to find a more powerful program which can deal with various different type of 4K files such as 4K AVI, 4K WMV, 4K MOV, 4K MKV, 4K MP4, 4K H.264 and even some uncommon 4K file formats such as 4K H.265/HEVC, 4K Prores, 4K XAVC S, etc. After much comparions and testing, we finally settle on Pavtube Video Converter(best video converter review), which can comprehensively convert all 4K file formats listed above to WD TV playable file formats. Apart from that, you can easily compress 4K to 1080p in the program's "Profile Settings"; window with just few clicks. 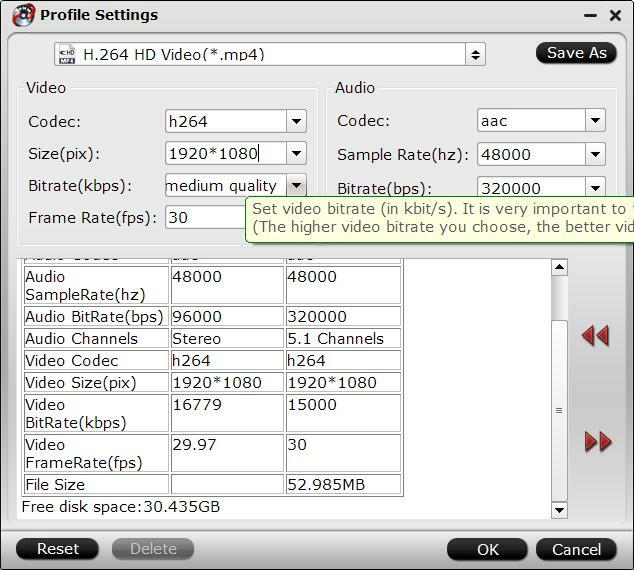 Besides 4K resolution video, you can also use the program to convert other incompatible SD or HD file formats such as AVI, WMV, MP4, MOV, MKV, FLV, AVCHD, etc into WD TV playable file formats. 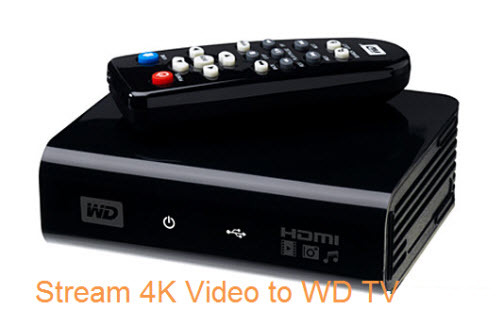 How to Convert and Compress 4K Video for WD TV Playback? Step 1: Load 4K source files. Start the program on your computer, click "File" > "Load Video/Audio" or "Load from folder" button to import incompatible 4K video files into the program. Step 2: Output WD TV Media Player supported formats. 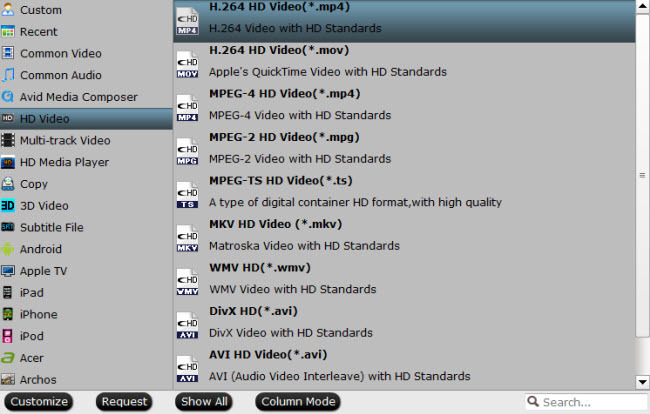 From "Format" drop-down list, select "HD Video > H.264 HD Video(*mp4)" as the output file format for playing on WD TV HD, WD TV Live and WD TV Mini. Click "Settings" to open "Profile Settings" window, adjust the output file resolution as "1980*1020"; or "1080*720"; from the "Size(pix)"; drop-down option. 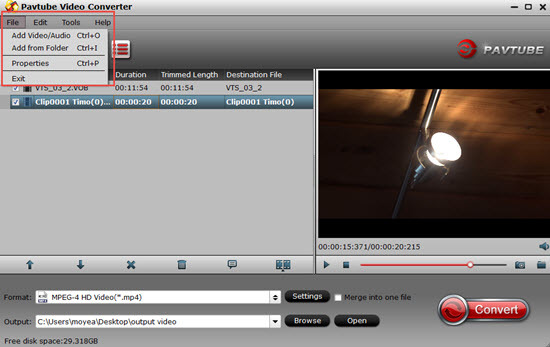 Step 4: Carry out the final format transcoding conversion. Clicking the Convert button in the right-bottom on main interface to start 4K to WD TV conversion and compressing process, a conversion window will pop out with the detailed conversion information such as Time elapsed, Time left, Generated size, and Estimated size. After the conversion, you can click Open output folder to popup output directory with the converted files. Then you can stream or play converted files on WD TV media player via either home network or external hard drives.